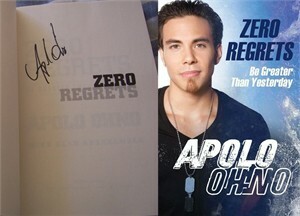 Zero Regrets autobiographical hardcover book autographed in black marker on the title page by legendary Olympic gold medal winning speed skater Apolo Anton Ohno. 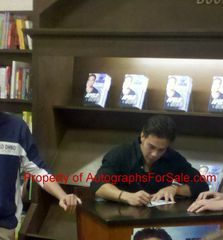 With certificate of authenticity from AutographsForSale.com and photo from the Ohno book signing. 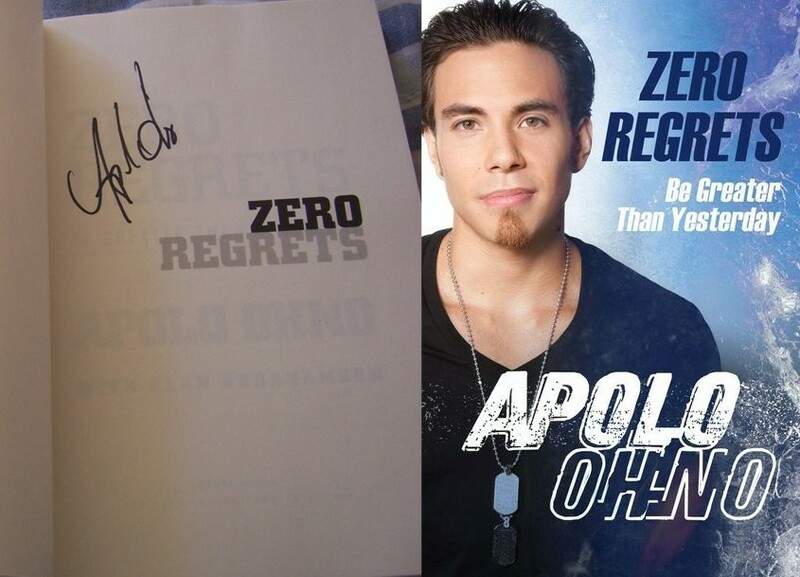 ONLY 3 LEFT.